NYU Langone Medical Center occupies the superblock between 30th and 34th Streets along First Avenue on Manhattan’s East Side. The Medical Center’s main entrance is located at 550 First Avenue, about a block north of 30th Street on the East side of First Avenue. The entrance on 34th Street east of First Avenue provides access to the Rusk Institute of Rehabilitation Medicine. The entrance on 30th Street east of First Avenue provides access to the NYU School of Medicine (Photo IDs required for all entries). At the rear of the buildings (facing East River Drive, which runs parallel to and below the FDR Drive) is the Receiving Department entrance, located at the level of 31st Street, and the entrance to the Rubin Hall of Residence (435 E. 30th Street), which is just north of 30th Street. The NYU Langone Medical Center main entrance lobby is distinguished by an overhang covering a semi-circular drive-through driveway directly on First Avenue. The lobby provides access to the NYU School of Medicine and the Smilow Research Building (directly ahead), the West Tower and Health Care Center for physician offices (to the right), the Skirball Institute of Biomolecular Medicine (at the far left end), and Tisch Hospital (to the left). 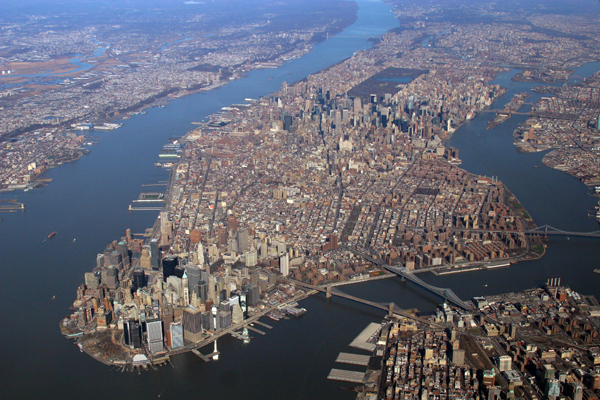 The New York City metropolitan area is served by three primary airports: John F. Kennedy International Airport (JFK) in southern Queens, Newark Liberty International Airport (EWR) in Newark, New Jersey, and LaGuardia Airport (LGA) in northern Queens. They are managed by the Port Authority of New York and New Jersey. From New York Penn Station (32nd Street and Seventh Avenue) it is a brisk 20-25 minute walk or a 10-15 minute taxi ride ($8) to NYU Langone Medical Center. The train station provides rail access for train services nationwide as well as Amtrak’s Metroliner and Acela trains, to commuter trains for many Long Island and to New Jersey locations, and connects to the 1,2,3 and A,C,E subway trains and local bus lines. From Grand Central Terminal and its Grand Central subway station (42nd Street and Park Avenue South) it is a brisk 20-25 minute walk or 10-15 minute taxi ride ($7) to NYU Langone Medical Center. The train station provides rail access to the Connecticut and the Hudson valley and connects to the 4,5,6,7, and S subway trains and local bus lines. Subways and buses cost $2.50 per ride. Entrance to the Metropolitan Transit Authority NYC subway system is by MetroCards, which are available at vending machines and booths in subway stations. Buses take coins or MetroCards, which also permit one transfer to and from subway or bus within a two-hour period. The closest subway stops to NYU Langone Medical Center are 28th Street and 33rd Street (both at Park Avenue) on the 6 train along the Lexington Avenue Line. It is a 15-20 minute walk to NYU Langone Medical Center from these stations or a brisk 20-25 minute walk from Grand Central Station at 42nd Street and Park Avenue. The north-bound M15 bus runs the length of First Avenue in Manhattan. The local bus stops directly in front of NYU Langone Medical Center, and the express bus stops on the northeast corner of First Avenue and 34th Street. The south-bound M15 bus runs on Second Avenue. The local bus stops at 31st Street, the express bus stops at the southwest corner of Second Avenue and 34th Street. The M34 bus runs the length of 34th Street in Manhattan and stops directly in front of the north entrance to NYU Langone Medical Center on 34th Street east of First Avenue. The M16 bus directly connects with nationwide bus service at the Port Authority Bus Terminal (40th Street and Eighth Avenue) via the NYU Langone Medical Center 34th street entrance bus stop. Taxis (yellow cabs) cruise the streets of the city, mostly in Manhattan, and are easily available at almost any hour. The city has made a big effort to improve taxi services in the past few years, and cabs are generally considered a very convenient, fast, and efficient way to navigate the city. Metered fares start at $2.50, with $0.40 for each 1/5 of a mile or 1 minute stopped in traffic. There is a night surcharge of $0.50 after 8:00 p.m. and before 6:00 a.m. and a peak hour surcharge of $1.00 Monday to Friday after 4:00 p.m. and before 8:00 p.m. All taxi rides are subject to a NY State Tax Surcharge of $0.50. Passengers are advised to use seat belts. Remember to get a receipt from the driver, who will expect a 15% tip. Do not make use of unlicensed taxis if you would like a safe, hassle-free trip. The Port Authority of New York and New Jersey Bus Terminal (40th Street and Eighth Avenue) is the terminus for most intercity buses serving New York City. It is a 10-20 minute taxi ride ($8) to NYU Langone Medical Center. Alternatively, the M16 bus, which runs directly to the NYU Medical Center 34th street entrance bus stop, may be taken. NYU Protection Services manages campus transportation services between the Washington Square Campus and student residence halls and apartment buildings that are located beyond walking distance. Service is also provided between campus and the School of Medicine & Dentistry and Chelsea Piers. Operating hours during the Semester are from 7:00 p.m. until 2:00 a.m. on weekdays and from 10:00 p.m. until 2:00 a.m. on weekends for scheduled route service. Safe Ride on-call van service is available at other times. Campus transportation is free to any NYU student, faculty, staff, or alumnus who presents a valid NYU ID card upon boarding. NYU Langone Medical Center can be reached by car as well. Convenience of access and travel duration depend on traffic conditions and the time of day. If arriving from outside Manhattan, get onto the FDR Drive, which runs along the east side of Manhattan from the Triboro Bridge (125th Street) to the Battery. Exit the FDR at 34th Street and drive west on 34th Street to Second Avenue. Turn left to go south on Second Avenue, then turn left again onto 30th Street. At First Avenue turn left (north) and NYU Langone Medical Center will be directly on your right. Parking is available under the Health Care Center (530 First Avenue), which is about 50ft from 30th Street on the right hand side, just north of the Office of the Chief Medical Examiner. Alternatively, the Kips Bay Garage is left on the west side of First Avenue just below 33rd Street. © Copyright 2014 by Sergei Koralov Lab. All Rights Reserved.